The term "worsted" identifies a yarn that has been processed on the worsted spinning system. This system of yarn production is designed to work with staple fiber lengths that range from 2.5 to 7 inches. It was originally designed for processing wool, but in the early twenty-first century any fiber or fiber blend of the appropriate length can be processed. This system of yarn production can utilize fibers with diameters that range from fine to coarse. While worsted wool in apparel fabrics generally uses fine diameter wool, worsted fabrics can use any diameter fiber so can vary in quality. "Worsted" also refers to a fabric woven from yarn processed on the worsted spinning system. Both worsted and woolen spinning systems include the steps of opening, blending, carding, drawing, and spinning. Opening separates the fibers from their compact state. Blending mixes fibers from different fleeces to get a fixed level of quality. Carding works to organize the fiber into an even and fairly parallel strand. Drawing pulls the fiber into the desired diameter. Spinning twists the strand to hold the fibers in place. What makes the worsted spinning system differ from yarns made on the woolen spinning system is an extra step in the yarn manufacturing process called "combing" or "gilling." To visualize what happens in the combing process think of the difference between brushing and combing tangled hair. The combing action removes snarls, short fibers, and any other waste matter from the fiber matrix. The short fibers are called noils and are recycled by blending them into woolen yarns. 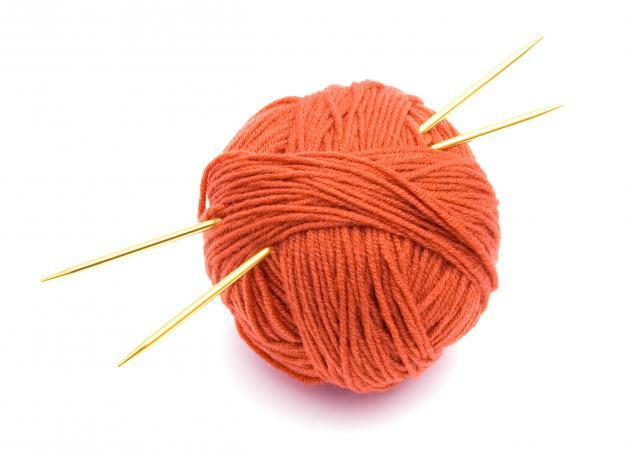 Combed yarns have their fibers lying parallel with each other, like spaghetti before being cooked. When the fibers are in this arrangement, they can be pulled to form a very thin yarn. This compact orientation and uniformity in fiber length makes worsted yarn smoother and stronger than similar yarns made on the woolen spinning system. The worsted spinning system was originally developed in the English city of Worstead. (The term "worsted" is a Middle English derivation of the city's name.) The term "woolen" should not be used to describe worsted yarns or fabrics, as woolen refers to yarns manufactured on the woolen spinning system. Worsted wool fabrics vary from woolen fabrics in several ways. Wool will be comfortable to wear in the hot summer months if the fabric is made with worsted wool yarns, as they are thinner and flatter yarns that trap less air than fuzzy woolen fabrics. The smooth surface helps worsted wool fabric repel soil and lint better. Worsted wool fibers will not shed from the fabric because the short fibers were removed in the combing step, unlike woolen fabrics. Worsted fabrics are longer wearing and stronger than woolen fabrics. They are also lighter weight than woolens, and will not sag. Worsted wool fabrics for apparel can range from sheers to suitings. Worsteds made of fine diameter wool will provide sleek fabrics that show design details, and will take and hold a crisp press. Some common examples of worsted wool fabric include tropical worsted, wool crepe, wool broadcloth, wool gabardine, and wool serge. The word "worsted" may be pronounced in two different ways, woo-sted and wer-sted. James, John. History of the Worsted Manufacture in England. London: Cass; New York, A. M. Kelley, 1968.